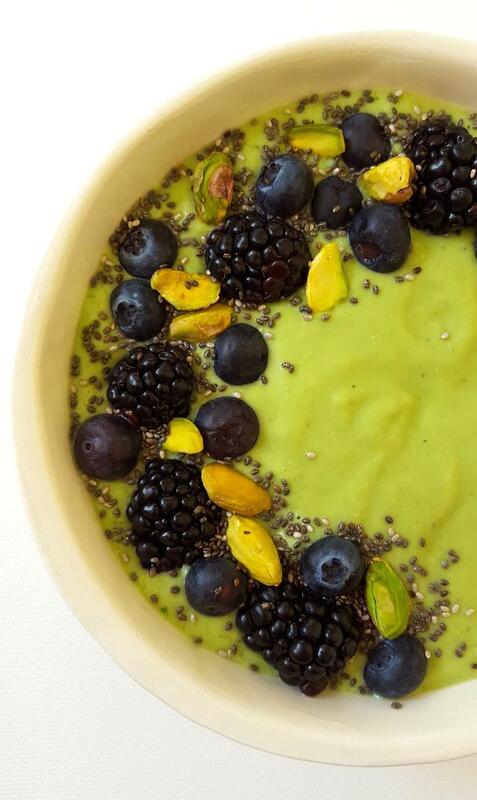 Foodista | Green Smoothie Bowl Recipe: Avocado, Spinach, Pineapple and Lots More Yumminess! 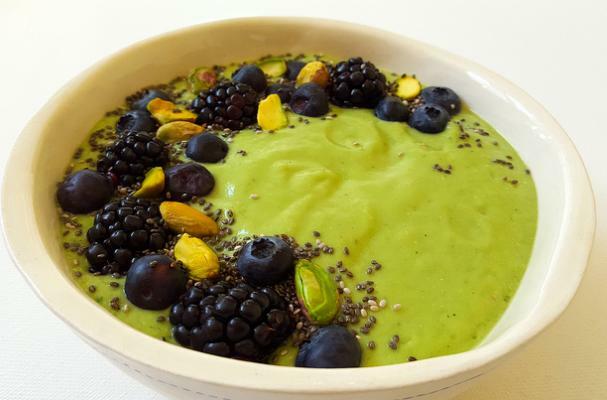 Green Smoothie Bowl Recipe: Avocado, Spinach, Pineapple and Lots More Yumminess! We just started the 5-Day Thrive Market Detox diet, but it honestly doesn’t seem like a detox. The recipes are so filling and delicious it feels like we’re eating at a fancy yoga retreat. We started our morning with this delicious, fill-you-up green smoothie bowl that’s packed with avocado, spinach, fresh pineapple, ginger, fennel, hemp hearts and unsweetened almond milk (we used coconut milk beverage). It’s then topped with blueberries, blackberries, chia seeds and pistachios. It’s so pretty it’s like art in a bowl! And tasty, too! Hemp hearts are loaded with protein and packed with omega-3s and gamma linoleic acid, a fatty acid that helps fight inflammation, speeds up cell growth, and helps make your hair shine! Place all the smoothie ingredients in a blender and process on high-speed until thoroughly blended. Pour into a bowl and top with toppings.